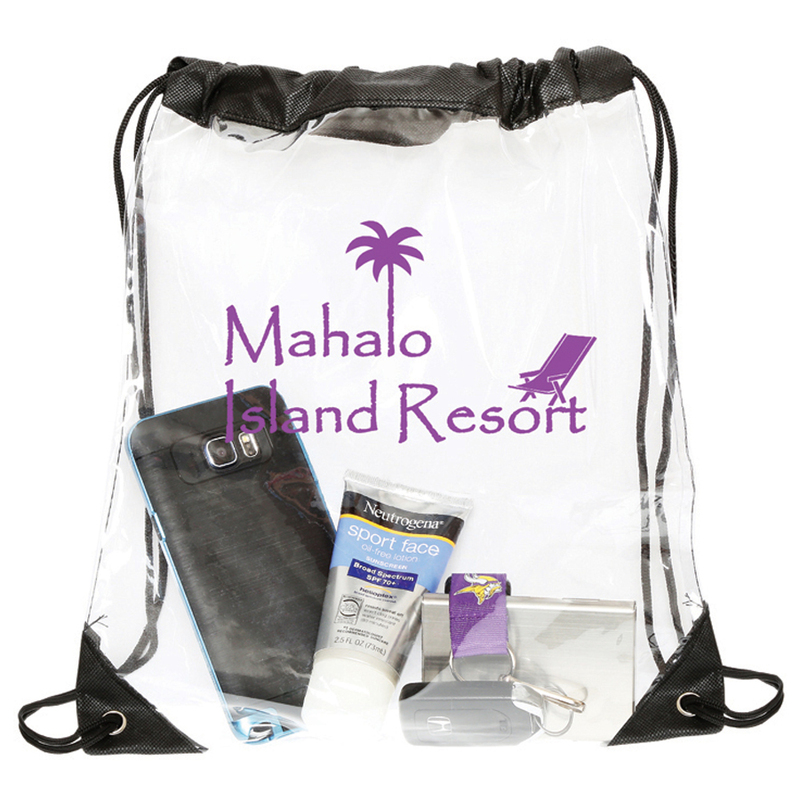 A clear PVC drawstring backpack that's great for events, concerts, sporting games and everyday use. The larger size of our transparent backsack options. These clear PVC drawstring backsacks are a great everyday bag and are designed to comply with regulations security authorities are starting to impose at big events, only allowing in clear bags into venues. They allow you to easily find anything in your bag with a glance and are something a little different that stands out.